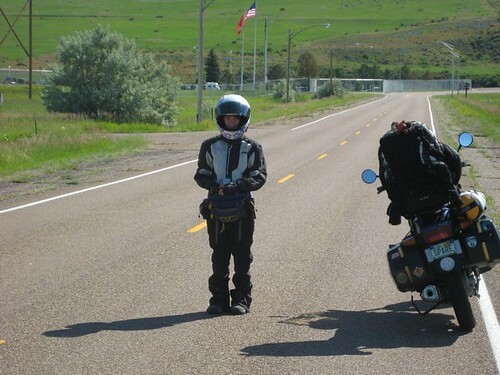 In 2007, my then 12 year old daughter and I set out for 5 weeks to tour the country via motorcycle. I knew of one other parent who had done this, and he was a father who rode with his son. I had no single mother role model, but I didn't let that stop me. I thought the trip was about motorcycling. Looking back now, I see that it was about parenting. I learned a lot about my daughter on that trip, and we learned a lot about each other. As a parent, I was giving her the most important gift of all, my time. 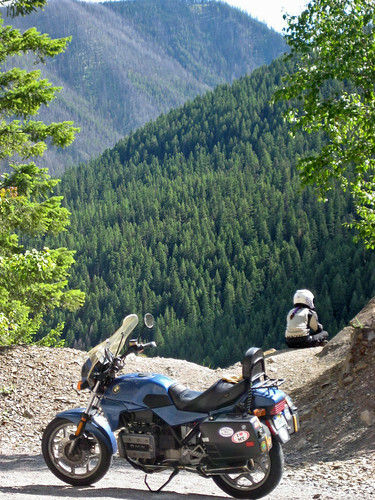 I shared with her something that was important to me, I was sharing my love of travel, travel on a motorcycle. Many people, when learning about that trip, commented that it would be something she'd always remember. The trip of a lifetime. I hope it's not the trip of her lifetime; instead I hope it triggered in her a love of travel, and maybe a love of the road. I know for sure it made an impact, as she chose to use the trip as the topic for her college essay. She was eager for me to share it with you. I hope that it influences just one of you to make plans with your child, to plan a trip of a lifetime. In 2007 my mom and I traveled across the country on her motorcycle. Everywhere we went we received a multitude of different reactions to what we were doing, everything from stares, interest, amazement, to pure confusion. 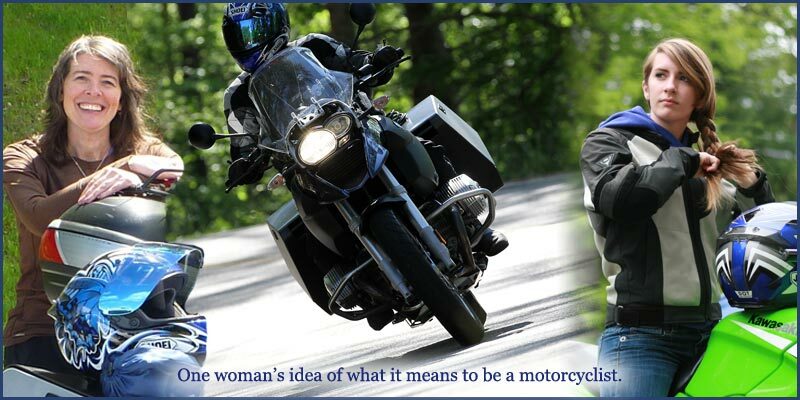 The idea of a woman on a motorcycle was crazy to some people, but being a motorcycle-riding single mother, my mom didn’t let stereotypes hinder our journey. I however, was not as used to the stares as she might have been. 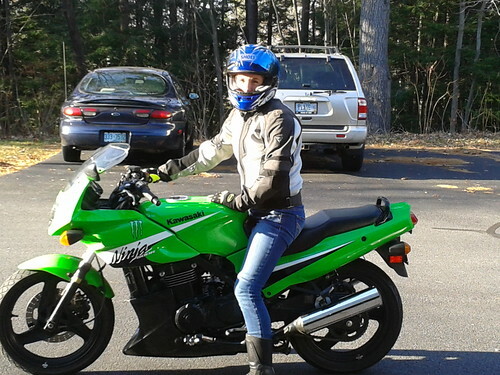 I was self conscious about my bulky, unflattering riding gear: riding pants that were too big for me and a helmet that made me look like an alien. But after awhile I became proud rather than embarrassed. I realized I was doing something few people ever got the chance to do, seeing the country with my mom. As long as it was important to us, we didn’t need approval from everyone else. 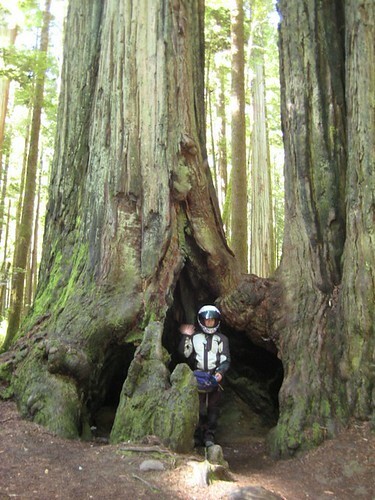 I knew the Redwood trees were big before, but I never knew how immense they really were until I stood next to one. I knew Montana was known as “Big Sky Country” but I never could’ve understood the vastness until I was beneath it. Going on this trip opened my eyes to how different everything can be from your initial perspective. One day while stopped at a gas station in Oregon, the cashier inside inquired about our adventure. When we told her we were from New Hampshire she mentioned she had always wanted to go to the east coast. I had never realized how lucky I was to have seen so much of the country, that some people had never been so far away, and there I was at 12 years old, 3,000 miles from home. The Trip is something I will never forget. Now, five years later, I am still realizing how it affected my life and me as a person. I’ve learned that perspective is not something that can be taught in school, only through experience. I learned that doing something that may seem impossible is in fact achievable. I learned how to be proud of myself, even if I was doing something different. I had the opportunity to see how diverse and unique this country truly is, and I have been inspired to someday discover the same things around the world. I’ve come to realize that you can see something on TV, read about it, see pictures of it, even listen to stories about it, but you will never completely understand something until you go experience it for yourself. That is a wonderful essay, thank you for posting it. I haven't taken any of my boys on a bike trip but we have travelled all over the country on road trips and all of them remember and seem to value the experience. Very nice, Lisa. Keep up the writing. Just curious: did your essay--the one you turned in--include the photos posted here, or was it strictly text. The illustrations are nice, but the essay stands on its own very well. When are you going to start your own travel blog? Brent, I added the photo's because that's how I like to tell a story. Such a brilliant piece. Any one would want to go on a biking trip upon reading this. our time is precious. We find out too late when our time is limited and we have so many things to see, experience, but time marches on faster than we realize. We have to make time to experience life to the fullest. You have imparted that notion to Lisa and she will be a better person for it. I've missed reading your blog, kept me going through long winters suspended from my bike...you inspired me to get back to motorcycling three years ago...looking forward to more posts from you! Good job on the essay. It always feels great to know that you inspire others. You must be really proud just as your daughter is proud of you. Do you use Michelin Motorcycle Tires? I ride on those and i totally love the experience. You are both my heroes! You have done a wonderful job of taking your feelings from your grand experience and putting them into an inspiring essay. You just have to be the BEST SINGLE MOM EVER! Heck, The BEST MOM EVER! It's always nice to have a family roadtrip every once in a while, and having a mom take her kid daughter on a cross-country bike ride makes it all the more cooler. I guess I can do that when I get a kid. Thumbs up! Thank you for sharing that.